Seriously though, it was an obvious connection to make if you've read Heroes of the Sea. 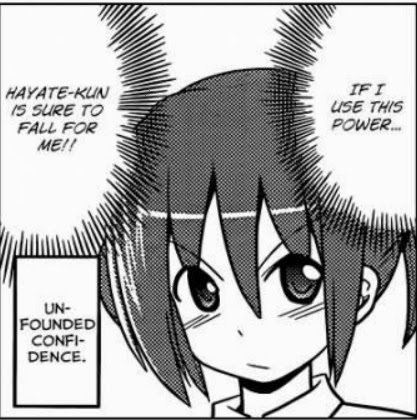 Ikusbe from that manga is a dead ringer for Ikusa not just in looks but in personality, and Hayate already has a ton of Life Saver cameos. 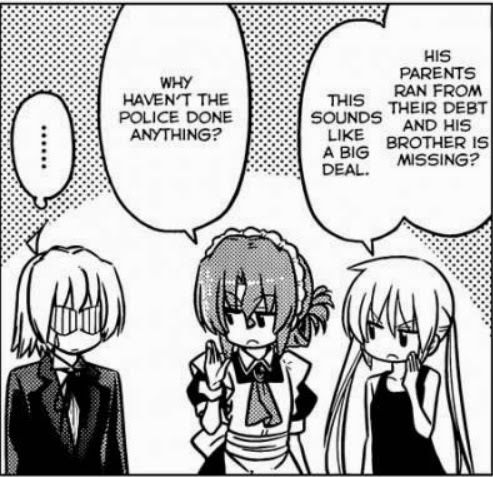 Souya-kun is the MC of Lifesavers for instance, and all the characters from pages 5-6 of the first chapter of Hayate are from Lifesavers. 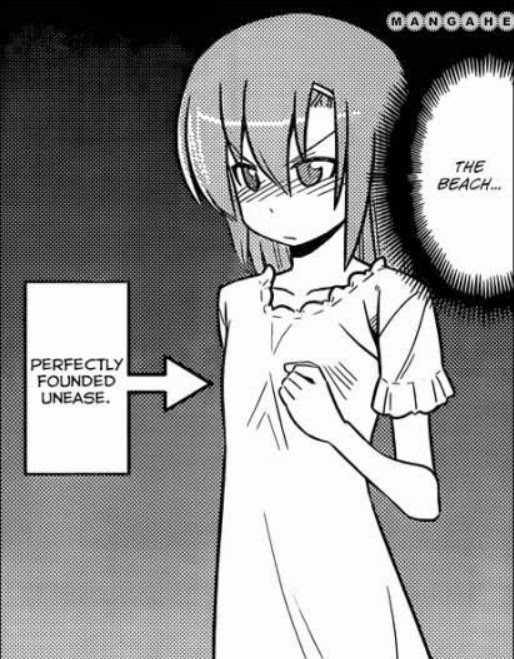 This was of course an awesome chapter on several levels. I have to disagree with your ending theory a little bit. I think there's only one long arc left in the manga, but it will probably be split up into pre and post CTMEOY/Cuties segments. Also the final gauntlet of main character birthdays and associated promises will obviously be important. It's basically Hayate-Nov 12, Athena Nov 30, Nagi Dec 6 and Maria Dec 24. Whatever the final final storyline is will probably be entwined with those dates. 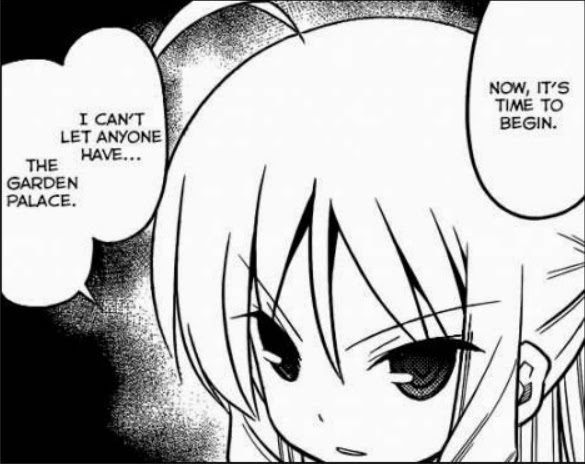 I somewhat agree with you about the importance of the birthdays and the associated promises such as Hayate's watch, Hayate's promised present for Maria etc., but I still feel like those events can be resolved without including them into the main storyline... they could even be included via flash forward side-chapters that happen outside of the continuity of the main arc. Still, we'll see, I suppose. We will see. This arc is just getting started, so who can say where it will end up really. I'm just happy that everything seems to be moving forward. I'm definitely with you there. 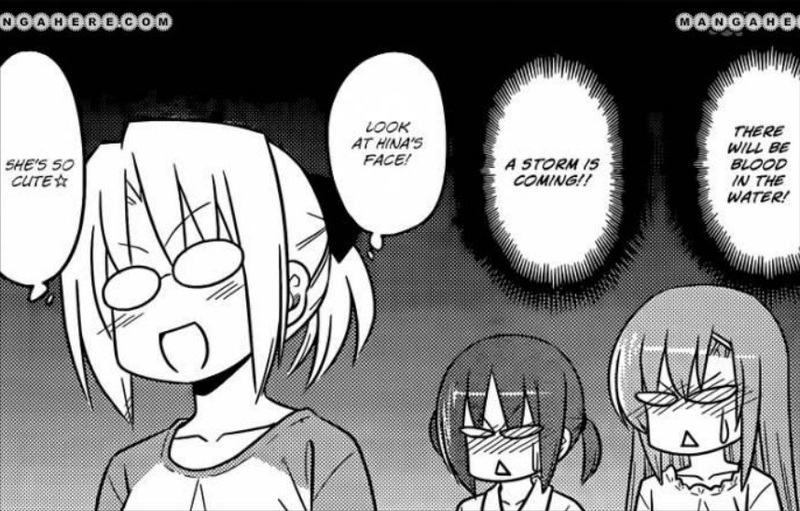 Hata has managed to pleasantly surprise me with the way he's handled these last two chapters.